The Tifosi Radius Replacement Lens features built-in magnified vision for reading cell phones, GPS, cyclometers, or scorecards. These bifocal lenses are ideal for golfers and cyclists to avoid switching between your reading glasses and shades. These optically decentered lenses eliminates distortion and prevent distracting magnification. Tifosi’s proprietary glare guard lens coating prevents unnecessary glare and reduces eye strain and fatigue. The Tifosi Radius Smoke Lens +2.0 Readers has many exciting features for users of all types. 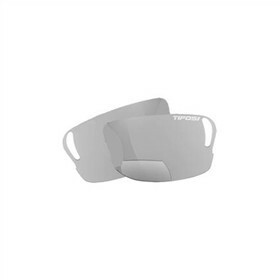 The Tifosi Radius Smoke Lens +2.0 Readers is sold as a Brand New Unopened Item.